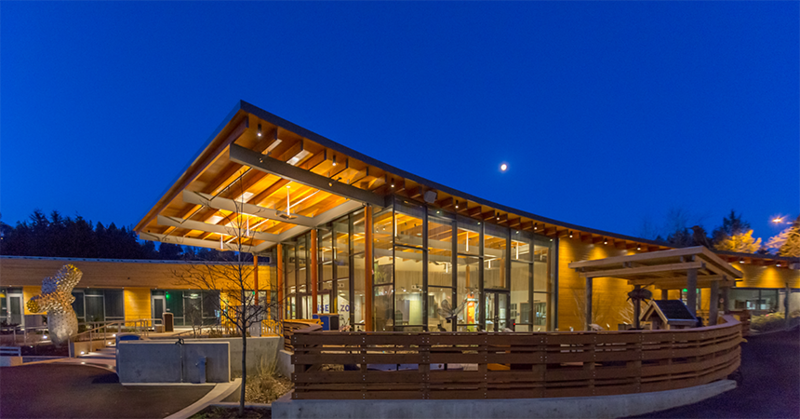 We’re excited to announce that the Oregon Zoo’s new Education Center is the winner of the Daily Journal of Commerce’s TopProject Energy Trust High Performance Building Award for New Construction. Part nature exploration center, part train station, it was one of the most complex projects the Zoo has completed. If all goes well, it could be one of the first buildings in Portland to meet the Living Future Institute’s net-zero energy building certification. With limited space available, the Zoo’s Education Center needed to maximize every square inch of the building while still providing a welcoming experience for visitors. 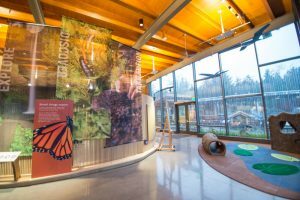 Opsis Architecture, Catena Consulting Engineers and Fortis Construction, Inc. worked with the Zoo to bring the building to life in just over a year. 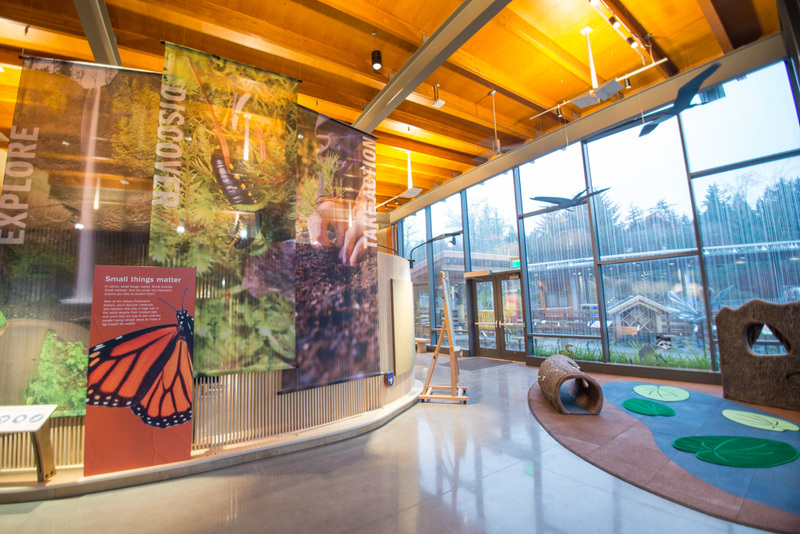 Featuring swooping arcs, extensive indoor-outdoor connections and innovative energy-efficient design, the Education Center plays off the Zoo’s mission to inspire the community to respect animals and act on behalf of the natural world. From the lab that raises and releases baby western pond turtles to the 150-seat event space and Insect Zoo, the Education Center is a place of discovery. A building this well-crafted is impressive, not only for its ambitious energy goals, but also the many ways it will be used and enjoyed by a vast array of animals, zoo visitors and staff. The Education Center is a true community building, engineered to work with and celebrate the very ecosystem it sits on. Congratulations to the Oregon Zoo. Previous ArticleLions and tigers and energy savings, oh my!